It doesn’t take a professional to see what happened to the airplane carrying former Alaska Senator Ted Stevens and his traveling companions earlier this month. TheDeHavilland DHC-3 flew into rising terrain. What happened is often not too difficult to answer. Why it happened is where it gets sticky. My friend Chuck Allen is a private, instrument-rated pilot and avid outdoorsman, who flies as a passenger with some frequency in remote areas of Canada. It's an environment not unlike Alaska. So he has been following the few news accounts that detail the flight. Chuck called me the other day wondering why, in what appeared to be difficult visibility conditions, the pilot chose to make the flight VFR rather than file a flight plan. Chuck was not surprised that an experienced pilot in an environment where ground transportation was not an alternative might decide to scud run from point A to point B. What did surprise him was that a pilot would do it with such a high-profile passenger and two children on board. Hold that thought while I bring up what might seem to be an unrelated subject and trust me; I’ll get back to the Stevens crash. Last week for the umpteenth time, the National Transportation Safety Board made a recommendation to the Federal Aviation Administration that it eliminate the practice of allowing lap children that is, infants and toddlers traveling in the laps of adults. The letter to the FAA said children under the age of 2 “should be afforded the same level of protection as all other persons”. The safety board went on to say that a seat for every passenger should apply to commercial, charter and private flights and cited a particularly tragic crash in Montana in 2009 that killed 14 people on a plane designed to carry 10. It was clear from the accident scene that the four children aged 1 to 9 were not restrained in seats at the time of the crash. Look, carrying extra passengers over the age of two is a violation of already existing FAA regulations, this I know. The message the NTSB seems to be making is that by getting fuzzy on just who is entitled to the extra safety afforded by seats and seat belts, the FAA has blurred a very real risk in the minds of air travelers. “The fact that the FAA allows it, gives the impression to passengers that it’s safe,” Janice Brown told me when I called to tell her of the NTSB’s latest effort. Janice has a 20+ year investment in the issue. She was a flight attendant in 1989 and was working on United Airlines flight 232, known to all the world as the Sioux City disaster. Since the crew was aware that landing the DC-10 without flight controls was going to be a controlled crash, passengers were given instructions prior to landing. “We had at least four lap children,” Janice told me of the 298 people on the flight. “I picked up the microphone and gave them a head start, I told them, ‘Place the babies on the floor at this time.’ I was thinking, ‘I can’t believe these words are coming out of my mouth!’ It sounds great in a classroom, but in a real life, I’m thinking, ‘how am I telling passengers to put their most precious possession on the floor?’ Held in the arms of their parents these children would most likely be tossed around the cabin on landing. Confining them to the floor space at their parents' feet was thought to provide some protection. Since that time, Janice has been advocating a seat for every passenger, a campaign that has come close but not achieved success so many times over the years, that the NTSB recommendation letter outlining the history of the issue runs on for 12 pages. But the important lesson of the effort is the one that Janice has learned so well. The FAA’s power to make rules is a two-sided coin. The flip side to regulating something is that what is unregulated is - by default - deemed safe, even when it is not. This brings me back to Alaska, a state with a dismal air safety record, a state that trumps all others in the number of pilots who have repeatedly crashed, according to a provocative study by Johns Hopkins University professor Susan Baker. Yes, Alaska is unlike the lower 48 in the number of areas inaccessible by road. Yes, as a rule pilots in Alaska are proficient in flying in conditions that others would consider challenging. Yes, weather and terrain deal a one-two punch to a disproportionately large number of flights in Alaska. “It’s a totally different world flying in Alaska than anywhere else,” my friend Chuck says, joining a chorus of others with the same opinion. But in pushing the envelope on fishing trip charter flights, the message is that there’s an acceptable level of flexibility when it comes to flying in Alaska. 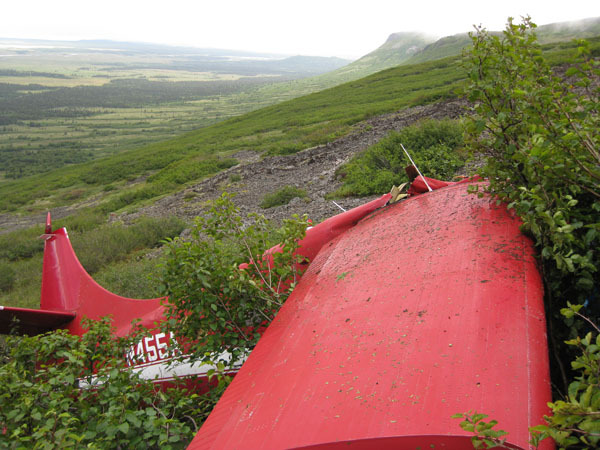 That discretionary flying in circumstances unacceptable elsewhere is okay in Alaska. Is it acceptable to continue on without learning the lessons from these accidents? Whether children on aircraft should be restrained to the same degree as adults is entirely an economic issue. There is no factor of technical ability nor of transportation utility that bears on the matter. 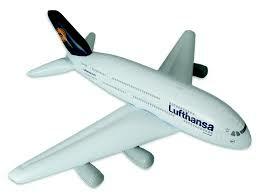 If we wish to mandate seats and restraints for children we can do so and the airplanes will still fly. We just have to choose to spend the dollars (and, of course, some cost-constrained customers will opt for other transport nmodes that may be riskier). The issue of VFR flight in the challenging Alaska environment is completely different. Often, the mountainous terrain puts Minimum Enroute Altitudes (MEA's) above the freezing level so IFR becomes impractical. Many rustic destinations have no instrument approaches. In short, you go VFR or you don't go. Any mandate for a change in currently accepted practices would have a major impact on the utility of air transport in Alaska - and in many places that's the only transport there is. The bargain that the Alaskans have made in this regard is clear, and Sen. Stevens knew exactly what the deal was, perhaps better than most since he was a veteran aviator. We in the lower 48 need to respect the uniqueness of the Alaskan environment and let the Alaskans decide what requirements are workable in their world. As always Frank I have great respect for your well-thought out opinions on aviation. And I fully agree with you that Senator Stevens is fully able to make a educated risk benefit analysis for himself when deciding whether to take a recreational flight. However, when children are involved, that's another matter. This holds true in unique flying environments like Alaska and ordinary passenger cabins. I don't think anyone is against safety for children. The sad fact is that the NTSB hasn't made a case for safety seats in the past and this half baked rehash of previous arguments isn't likely to accomplish much. This wasn't a safety recommendation, this was grandstanding at its worst. Non-surviviable accident - factual isn't even out yet - if this was a valid recommendation they should have been able to find a better vehicle for it. The only bright spot was the dissent - don't see many of those, but it shows that at least one member knows how to play the game. Good stuff Christine, As always, we know where you stand. I like that! Thanks for having me on your email update list. Christine, I too am scratching my head on how you connect these two topics. If you look at where the Stevens flight was going, there are no published instrument approaches or departure procedures anywhere useful nearby (I italicize "published", because I'm told AK has a suprising number of private instrument approaches that aren't meant for public use, no easy way for us to know about them). The nearest airway (V506) was a few miles away with an MEA of 3000 feet. There was just no rational way to get from the lake to the enroute structure and back down in the IFR system. If one considers the safety of the IFR system a prerequisite for access to such places, they become simply inaccessible, end of story. The next good 2000 and 5 VFR day might be...October. No other place in the world is quite like this. Simply put, VFR floatplanes are their pickup trucks, that's how Things Get Done there. If you're trying to make a statement that it's sad that a 16-year old young lady was killed along with her mother, yes, I cannot disagree, it is sad. But I do have difficulty connecting this to the NTSB position regarding carrying children, they are simply coincidental. (I also note that her mother was a senior VP for the company that owned the airplane, and the pilot easily could have been her husband. Therefore, there's a strong argument that mother and daughter were very well aware of the risks they were facing, as was Stevens. That makes it no less tragic, of course). The problem with mandating seats for chldren is, most parents simply do not want or cannot afford to pay the cost of a seat for every child. We know from statistics that road travel is far riskier than flying, especially during holiday periods, yet this is the only alternative in most cases. Sure, the loop belt is not as ideal as a seat but surely a safer alternative than children being completely unrestrained. The CARES system is a good step forward but again requires the purchase of an individual seat. Short of having bulkhead-mounted baby bassinets rated for take-off, landing, and impact forces, I can't really see a better alternative than the loop belt. Yet, the FAA still does not require their use. Again, we run into the ever-present safety vs 'cost' issue that seems so prevalent in aviation today. Unfortunately, many people see the cost as opposed to the much larger sums which result when things go wrong.